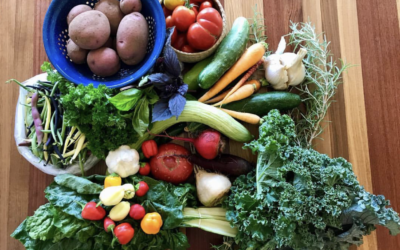 See our weekly offeringsWhat is a CSA? For an additional $200/season you can choose to have your weekly share delivered. We apologize, but at this time can not offer delivery to Monticello, Castle Valley, Pack Creek, or anywhere north of the Colorado River. No Thank You, I will pick up my shares.Yes! I want my shares delivered. Please provide details below as to where we should physically place your share at your address provided above. For example "In Cooler in Carport", "In outdoor fridge in garage" "ring doorbell, we will be home", etc. No, This will be used by my family only.Yes, I plan on splitting with others. For communication purposes, please provide the email address for the party you will be sharing the CSA with. We will provide them the same weekly newsletter notifying all parties what the contents of the share will be. If necessary, you can provide multiple email addresses. Simply click the "+" icon. Please tell us your preferred day for pick-up or delivery. Please note, this is not a guaranteed selection. We will notify you upon application confirmation the day of pick up. By clicking below you agree to the terms & conditions (scroll down to read). I agree to the Easy Bee Farms policies and terms of agreement. All applications are subject to approval, with payment due no later than one week after receiving invoice. Application approvals will be distributed by email. 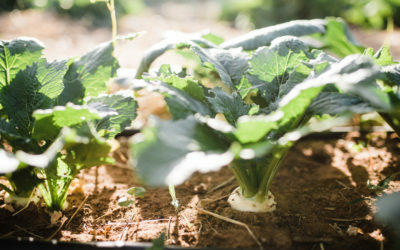 Please note, we will use email to contact you regarding the CSA and other farm news. You may unsubscribe at any time. 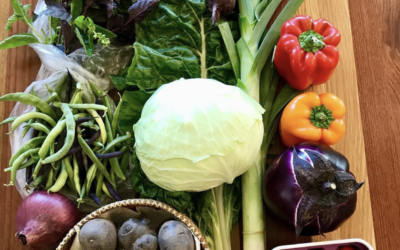 The 2019 CSA season will run for 22 weeks from the week of May 15th through the week of October 16th. 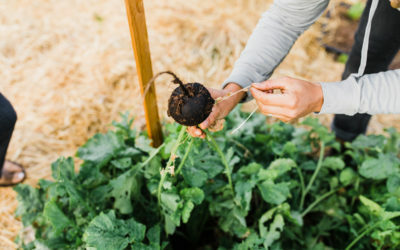 Pick up will be Wednesdays or Thursdays from 1:00 p.m. – 7:00 p.m. at the Easy Bee Farm site’s garden kitchen. It is the obligation of the member to pick up their share during the confirmed pick up date and time. 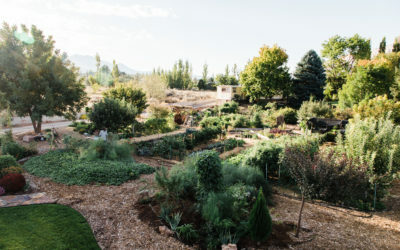 The farm is located at 4065 Easy Street south of Moab. Plan on bringing your own bag or basket to pick up your share. We will send information about pickup procedures before the season begins. 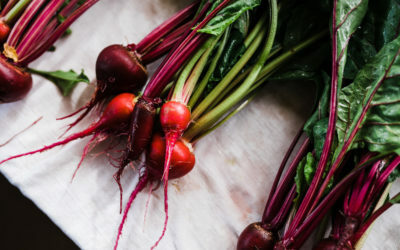 If you are unable to pick up during the allotted time and have not scheduled delivery for the season, you will be required to either find another person to pick up your share or let us know 24 hours in advance. If you are having someone else pick up your share, you are responsible for sharing the pickup procedure document and directions. Shares that are not picked up by 7:00 p.m. on the evening of pickup will be donated to the food bank or otherwise distributed. 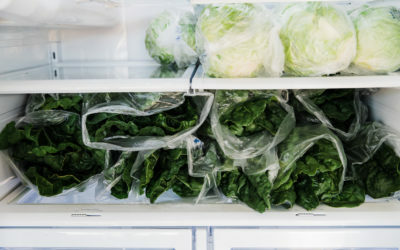 If you signed up for a delivery share, it is required to provide access to a refrigerator or cooler in the event you will not be home during the confirmed drop off day. Your share will not be left without access to one of these things. We do not offer refunds for CSA memberships. Transfer of CSA memberships may be granted but are not guaranteed. 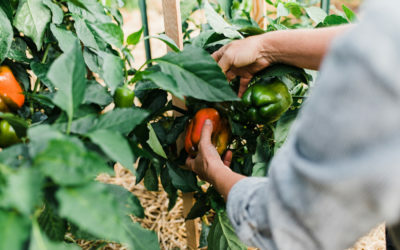 Community Supported Agriculture (CSA) is a way for consumers and farmers to share the risks and benefits of food production in a given growing season. 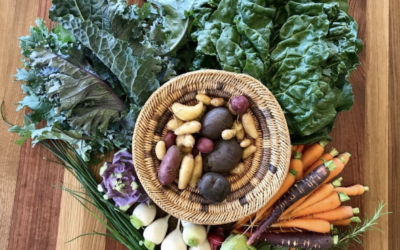 By purchasing a CSA share before the growing season starts, you are supporting a local farmer in advance in exchange for receiving a weekly share of the harvest all season long. 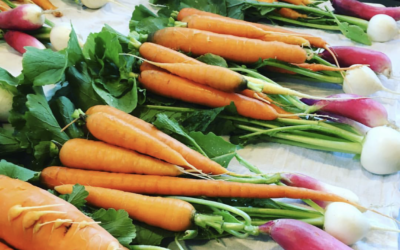 CSA programs allow consumers to enjoy eating fresh food grown right in their community while learning what it means to eat seasonally. 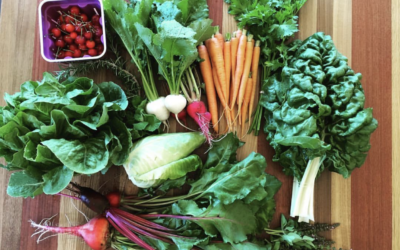 CSAs are the best possible way to eat the most nutrient dense organically grown food. 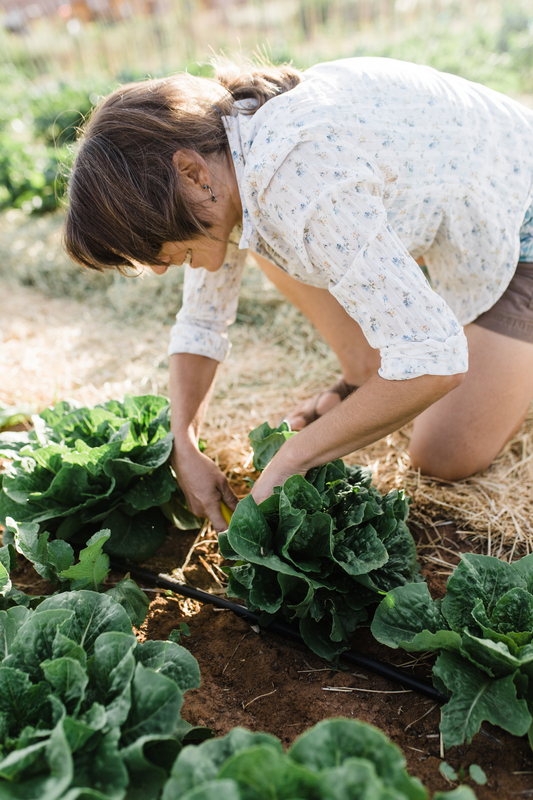 At Easy Bee Farm, loving workers harvest the CSA shares in exchange for produce. Harvest occurs the same morning as pickup – we believe in fresh! 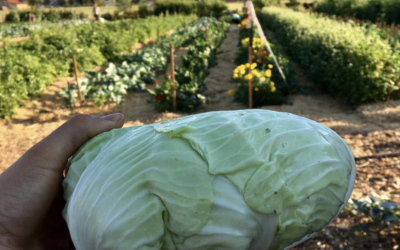 As a CSA member, you will learn about what crops are available in Moab during different times of the year. Timing and availability will vary each year based on the weather and agricultural variables. 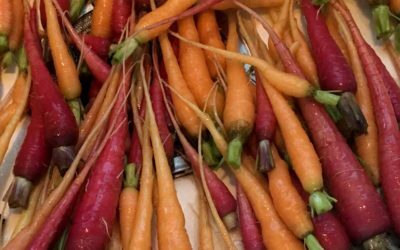 How Much is a CSA Share? 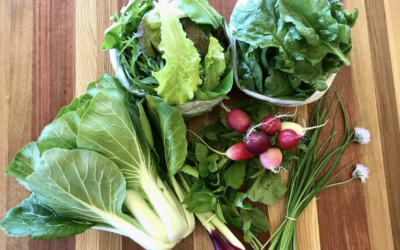 A CSA Share with Easy Bee Farm for the 2019 season is $560. The option for delivery of your shares is available for an additional $200 for the season. When is the Sign Up Deadline for 2019? How Do I Pay for My Share? Once your application has been reviewed and accepted, an invoice will be emailed to you. Payment may be mailed by check, or paid online via the link provided in the invoice. 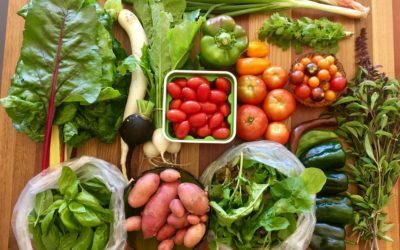 Do You Offer Delivery for CSA Shares? Easy Bee Farm offers a limited number of delivered shares each year. Delivery is an additional $200 for the season. Please note, if you are interested in delivery, we will provide the service on a first-come, first-served basis. If you receive one of the delivery shares, we will contact you to work out a procedure for drop-off. 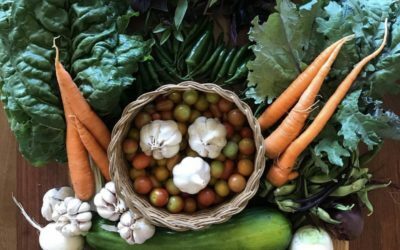 Where & When Do I Pick Up My CSA? 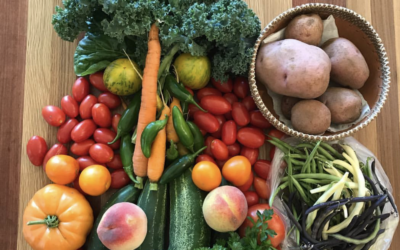 The 2019 CSA season will run for 22 weeks from the week of May 15th through the week of October 16th. There will be no share the week of July 4th. 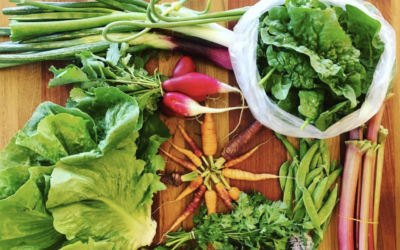 Pick up will be Wednesdays or Thursdays from 1:00 p.m. – 7:00 p.m. at the Easy Bee Farm site’s garden kitchen. The farm is located at 4065 Easy Street. Plan on bringing your own bag or basket to pick up your share. Can’t make it one week? Consider having a friend pickup your share for you. Please let us know ahead of time if this is the case. 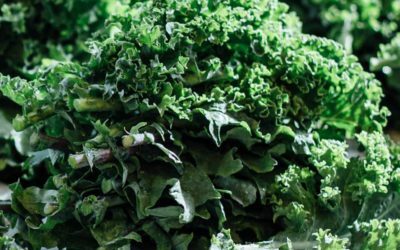 What Produce Will I Receive Weekly? 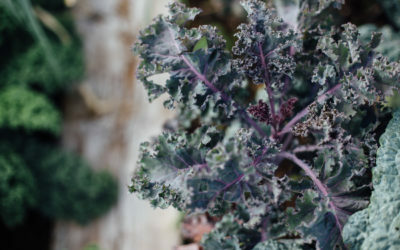 Vegetables vary throughout each season. See our blog page for a week by week description of share contents. 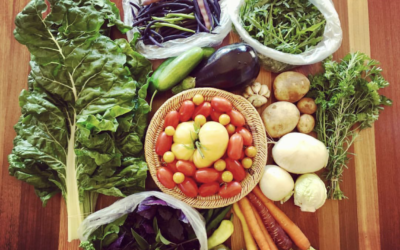 How Much Food Comes in a Weekly Share? 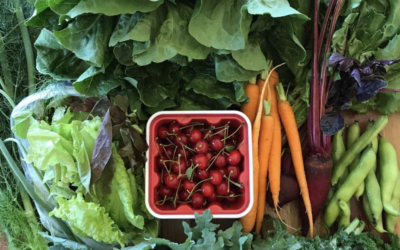 A full share will feed a couple or small family and is on average $25 worth of produce each week. Some weeks may be worth much more during peak harvest times while others may not quite reach that mark. 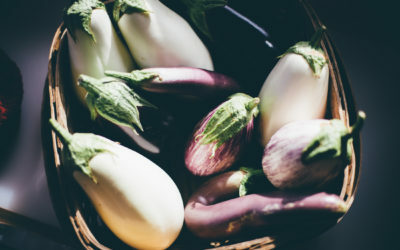 For example, there is usually a lull between Spring and Summer crops where you may not receive as much produce, but in August you will most likely receive an excess. Check back in May 2017 to see our weekly shares!